Adventure enthusiasts like different outdoor activities to reinvigorate their mind. Outdoor activities such as- hiking, climbing, hunting, traveling, etc. always provide thrill and excitement to them. Besides, some people often take their children with them, especially while they are going hunting, for teaching hunting principles and develop hunting skills to their kids from an early age. And with that, parents also get the chance to make bonding with their children and enjoy the fantastic outdoors experience together. Besides, some activities can occur dangerous too, until the kids reach the right age. So, parents can also teach their children about how to shoot, camp and hike, etc. by using hunting toys. Hunting toys help the children to build their skills naturally through playing. In fact, not only the children but also novices can develop their skills by playing with these toys as well. So, having the best hunting toys is essential to all. Otherwise, it can hamper the process of learning and ruin the mood as well. Toys aren’t always for the kids; sometimes it can be for adults too. Hunting toys are those kinds of stuff by which both children and adults can play as well. By playing with these toys, we can practice social skills and creative thinking such as empathy, adaptability, choice-making and more. And so our effort of learning can get damaged, if we choose the wrong one. So, we need to be careful and do some research before purchasing the hunting toys. As there are various hunting toys available in the market, we often face difficulty in selecting the suitable one. Before choosing the suitable one, you need to check the stiffness and durability along with the price as well. Besides, some toys come with small parts that a baby could swallow. And if it is for the kids, then we need to make sure the age-range also. 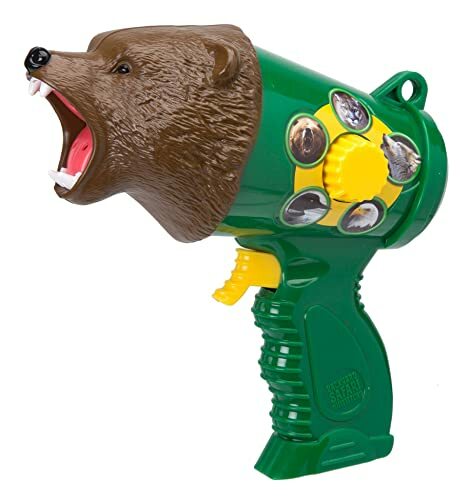 So, bearing all crucial facts in minds, we have created a list of best hunting toys that you may like. Kids Play Accessories manufacture kids Camouflage Toy Bundle. They have come with some appealing toys which are perfect for kids, especially for children who love to play in camouflage dress up. 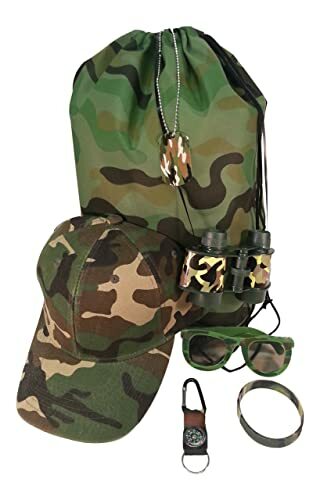 This Camouflage Toy Bundle features – one cotton drawstring tote backpack, adjustable camouflage cap, toy binoculars, dog tag, sunglass, and silicone bracelets. Each of them comes in traditional green camouflage. The backpack of durable, high-quality non-woven polyester is lightweight enough that kids can easily carry this tote backpack as well. The dog tag is another exciting stuff of this set. The tag’s length is 2 inches, and it is made of metal. The tag comes with a 24″ metal chain along with a clasp. You can personalize the Dog Tag with your permanent marker. You also get a camouflage bracelet which is comprised of silicon. Again the sunglass and binocular are well-made to protect eyes from UV arrays. The compass comes with a belt clip is placed on a soft piece of leather. Lastly, it also comes with an adjustable cap which is made of breathable fabric. The cap is ideal for the kids because of having soft materials as well. Overall, this toy set can be an excellent gift for your beloved kid or others. Backyard Safari represents authentic outdoor stuff named Backyard Safari Animal Caller. This animal caller can replicate the exact tone of five North-America’s wildest and most majestic animals. This safari caller can produce the sound of grizzly bears, gray wolf, American eagle, cougar, and the loon. This marvelous stuff is made of durable plastic, and it features a realistic growling bear head. You will surely get amazed to hear the sensible sound of this backyard caller. To hear the sound, first, you need to choose an animal of which you want to hear by turning the picture dial. And then you need to press the trigger to let it start. And of course, to get started, it requires 3 AAA batteries which are already included. However, besides the kids, youngsters can also use this caller to sneak up their friends. Even some people use it to create awareness as well as interest in wildlife. So, you may purchase this caller to surprise your loved one. If you are searching a handmade hunting tool which can provide the best shot, then you don’t need to look much further. aGreatLife has come up with a wood-carved slingshot that allows you to aim and shot accurately at your target. The manufacturer gives it the classic y-shaped design. This y-shape is made from high-quality wood and painted with non-toxic paint. 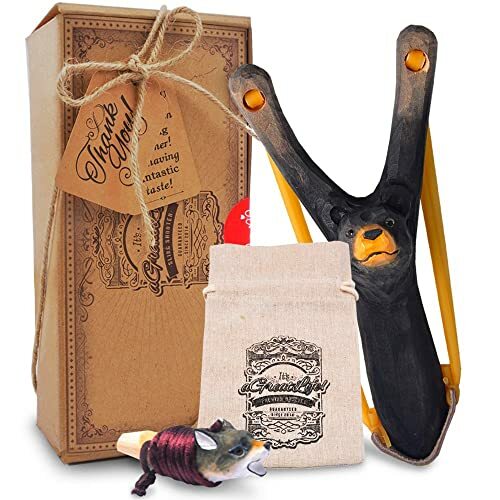 You get not only wooden grip with this slingshot, but also it reduces hand and wrist fatigue too. Besides that, it has a bear sculpture which is placed on the slingshot. For shooting support, there is a well-tied and strong elastic band. This band renders an excellent resistance to generate the best shot. In this set, you also get a hand-carved wood whistle which is made from solid wood and painted by hand with the maximum care. Again for easy carrying, you get a cotton pouch. Overall, all these stuff are the sturdy, lightweight and versatile premium option to look at. 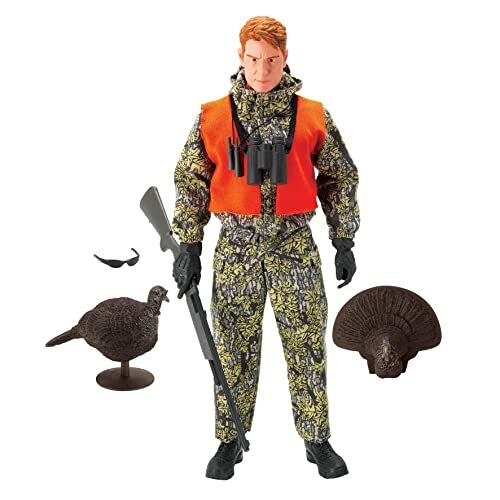 The Wild Adventure manufactures wild Adventure Turkey Hunter Action Figure. They are very well-known and reputed brand in making beautiful toys. This turkey hunter toy features a realistic camouflage design. It is 12 inches long which is ideal as a toy size. The whole toy figure has 10 points of articulation so that user can bend and twist as per needed. The limbs and arms are also bendable which can make the kids excited. In this toy box, you get other additional accessories including small turkeys, a rifle, and binocular as toys which allow multiple levels of plays. In a nutshell, the turkey action figure can be a fantastic gift to surprise anyone. This is another excellent equipment which can be used as a hunting toy. The binocular can provide the users with a large field of view. 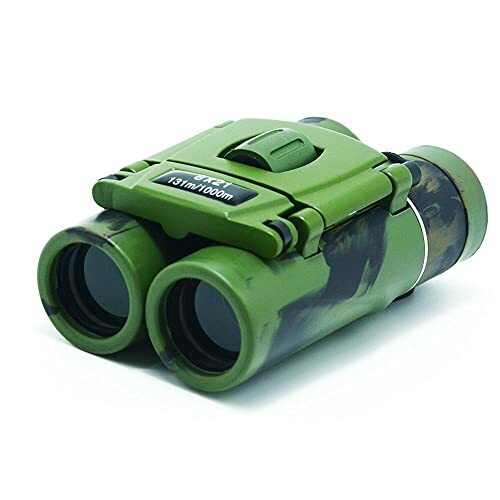 And viewers can see clear as well as closer with this excellent binocular. It features a 21mm objective diameter which provides 8x magnification. Besides that, it has BAK-4 prism and FMC Green Multicoated optics for the light transmittance. So, users experience a high-quality view without the color difference. The binocular also features dual focus capability-one is in the right eyepiece and another is in the middle lens. Aside from that, it has an adjustable focus-knob which is placed in the center of the binocular. And with this, users can adjust the binocular as well as control the parallax. The binocular has an excellent design to look at. It is also comfortable to hold because it is made of a durable rubber coating. Being lightweight, kids can easily carry and use this for outdoor sports, tour, hiking as well as climbing. Overall, it can be an ideal gift for the kids, family, and friends. 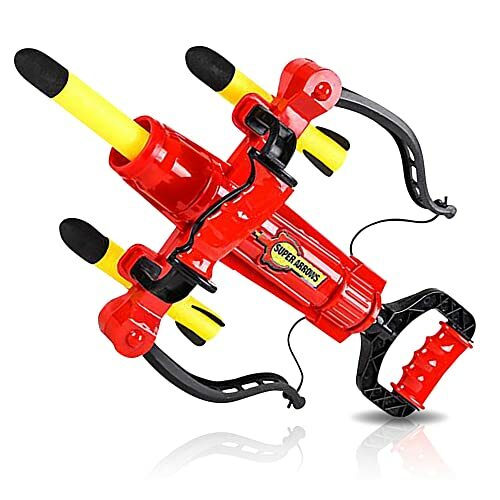 If your child loves archery or wants to practice shooting, then this toy can match the requirement. Besides children, it is perfect for beginners as well. By playing this game, anyone can improve their overall hand and eye coordination. The manufacturer uses environment-friendly and high-quality materials to build this archery set. And engineers use non-toxic Abs plastic to make it durable. This set comes with a bow, three arrows, a target board, and a quiver. The bow has light up function and it requires 2AAA batteries (not included). All arrows have rubber tips so that they can nimbly get attached to the target board. And the target board has a very realistic structure. This board is comprised of sturdy and supreme quality plastic. Lastly, the quiver features a strap for easy carrying. All of this stuff has a pink color design. As a result, the archery set may be very much likely to girls. In a nutshell, this set can be the best gift idea for the children who are above 3 years. If you ever experienced hunting, hiking or camping in a group, you probably know the importance of staying connected. In this case, cell networks can’t always be a reliable option. So, as an alternative option, you can use walkie-talkies. And of course, it should be the best walkie-talkies to get the best quality sound. To get the best features, you may choose AVALID Walkie Talkies. Because these two-way radios can effectively access both the FRS and GMRS bands and their range is up to 5 km in the open places. Besides that, they have 22 channel PMR system for transmitting and receiving data. And to control the data, it features an adjustable volume level, so you can mute any noise by adjusting. It also has two unique features to notice, and they are the vox mode and economy mode. Vox mode allows transmitting the data automatically with a little loud. And the economy mode is mainly for saving the battery life when the device is not in use for 6 seconds. This stuff has an LCD to show all the information such as channels, volume, vox, etc. For safety, there is a keypad lock and anti-lost strap which comes with a clip. So, you can attach the device with your belt. It is small, lightweight, and fits in all hands. 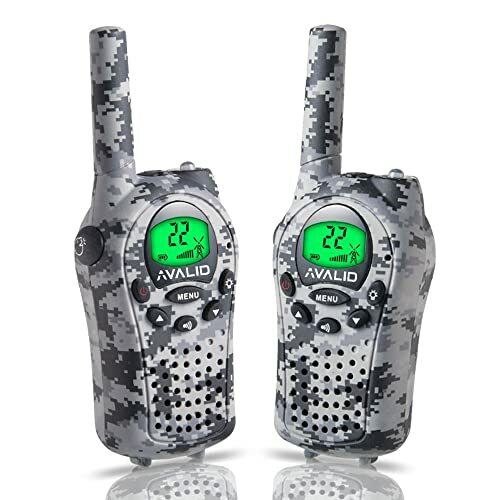 Overall, AVALID Walkie Talkies offers excellent features which may help you while doing outdoor activities and can be the best gift option for your kids as well. Nerf toys can be a significant choice for children who want to learn the archery safely from an early age. By applying basic principles, they can grow their skill of archery. 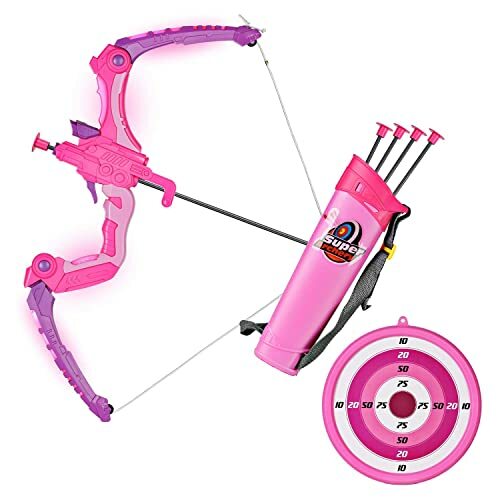 In this case, ArtCreativity Monstrous bow and arrow set can encourage the young archery enthusiast. With this set, they can undoubtedly acquire and improve their skills. The set comes with one bow which is made of high-quality plastic and three arrows. These arrows are comprised of foam, so they are entirely safe for the children. And the set is lightweight; therefore kids can easily play with this toy. They can play individually or with friends. To shoot the arrow, users need to load the arrow to the bow then they need to grab the handle with one hand and pull back the arrow with another hand and finally release. As we know, archery game does not only develop the physical power but also it improves the concentration power of the brain. So, assuredly it is an excellent game and exercises as well. And you may prefer the set of bow and arrows for yourself or others. Gifts2U Tactical Vest Kit represent excellent craftsmanship of the company. The vest kit is made of high-quality two layered nylon. For that, it is sturdy, durable and lightweight. The vest features breathable mesh fabric for ventilation, and it has elastic bandages for storage. You can attach the darts and clip storage with these bandages. It also has an additional mesh pocket to keep the dart or other little accessories. The vest comes with an adjustable velcro strap so that it fits both children and adults. 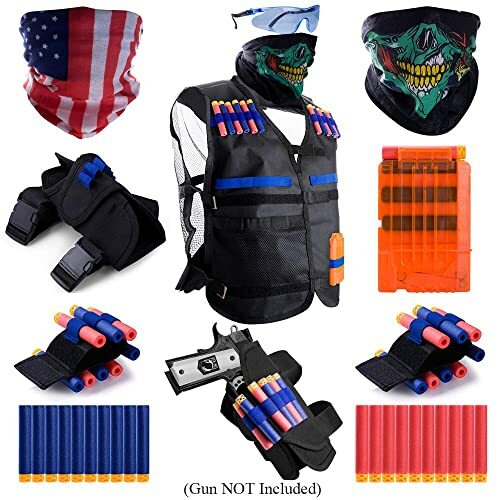 The Tactical Vest Kit features lots of equipment such as a dart pouch, two wristbands, quick reload clip storage, two masks, a protective glass, and twenty soft darts. The dart pouch has the ability to hold up 20 darts, and the pouch has comfortable belts along with lock catches. Wearing the stars and stripes mask, you will be considered as a member of justice. And the skull mask refers to the evil members. Besides wearing the mask, you can also wear a protective glass. All features of the vest provide you with the full experience of hunting gear. And it is considered one of the best hunting toys as well. So, you may check this for children or yourself. SainSmart Jr. 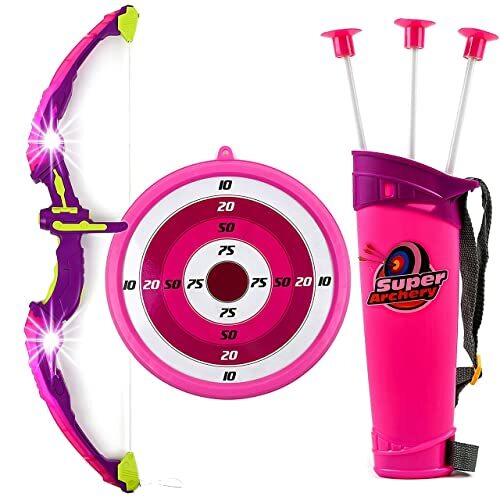 Kids Bow and Arrow set is perfect for using as aim toys. This set consists of premium quality ABS material. Being sturdy, it also ensures the maximum durability. The bow comes with automatic illumination and starts to glow while pulling the string. But for lighting up the bow, it requires 3 AAA batteries which are not included. Yet, this fantastic feature of this bow is liked by the kids most. Aside from that, this archery set features five arrows and a quiver. All arrows have suction cups for secure attachment to the target board. After finishing the game, kids can keep all those arrows to the quiver which features a comfortable strap for easy carrying. Overall, the set is excellent stuff to play indoors or outdoors. As the market is flooded with a lot of options, so you have the opportunity to choose the suitable hunting toy that matches your needs. Although you can’t use all of these stuff for real hunting, they play an essential role in improving your skill in hunting. However, after researching and comparing with other toys, we were able to make a list of top ten hunting toys. And you can choose one or as per your need from the list for yourself or to give as a gift. We think our review will prove helpful to you for providing enough information to purchase the best hunting toys.